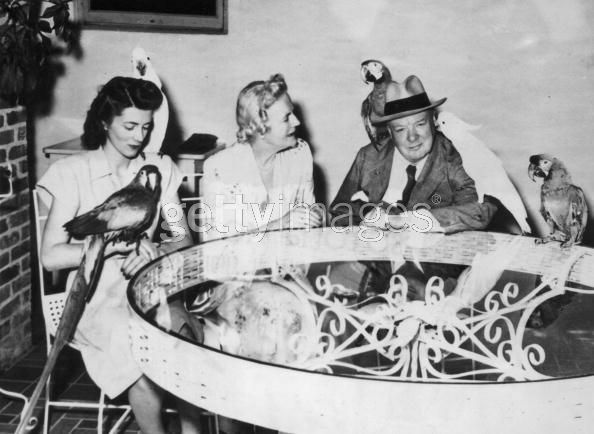 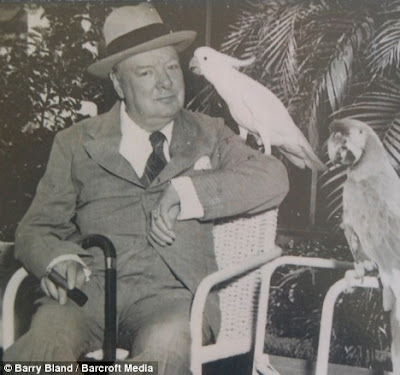 Sir Winston never 'owned' a macaw or a cockatoo but according to his daughter The Lady Soames, he did 'own' an African Grey Parrot during the mid to late 1930's. It is also stated that he kept a green budgie in his later life. 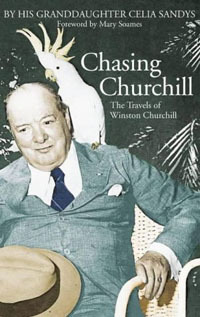 The sulphur crested cockatoo with Sir Winston on the cover of this book 'Chasing Churchill' - The Travels of Winston Churchill, was a resident at 'Parrot Jungle', Miami, Florida, USA.